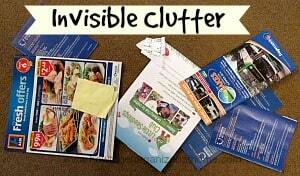 Clutter’s definition is different from different people’s perspective. However, understanding what it means to you and how you look and see clutter can be difficult to understand for an organized person. Defining clutter can mean completely different things; it depends on what you actually see as clutter and what it can mean to you. What is important to those people who have clutter in their homes might not see an excess of items as clutter, but more of a lack of storage to put the items they want. How the notion of clutter gets processed is a personal one, some people have trauma in their lives and they start to collect things and form barriers to hide from the trauma they have felt. Many people don’t see their collections as clutter, and if it is under control and contained then it can be an enjoyable collection to keep the items that you love. It is when you start to run out of places to put the items and they start to build up, the pile of paper on the side gets bigger as you keep adding to the pile. It is possible to tame the clutter you have at home, but sometimes it takes someone else to tell you there is clutter before you can actually see that you might have too many items. It can become familiar to you and this is not something that you might notice. Too many items in your home can lead to ill-health. You can become stressed and anxious about your items and not let people in. However, this isn’t the only cause of concern, you have to think about the pests that are living in your home, if you have animals you mightn’t be able to keep the house as clean as you would like because there is just too much to keep clean. This can lead to insects and rodents taking up residence in your home too. Any build-up of dust and dirt can have a negative impact on the air quality that you breathe and this can lead to respiratory issues. Clutter and chaos seem to feed off each other. What is important is there is help available and you are not alone. Collecting too many items can be a sign of a mental illness and this is something that you shouldn’t be ashamed of. Getting help dealing with the clutter in your home can reduce the stress in your life and it can be the first step in taking control of your budget. Clutter isn’t just in the physical world, you can have mental clutter too. 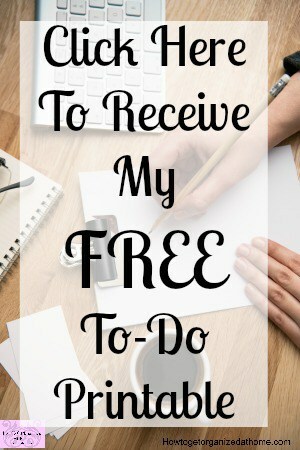 This is where you have too much going on and you need to find a release. For me it is writing down any thoughts that pop in, this makes me feel better. Too many things going round your head can make you feel tense and anxious, and writing these thought down on paper are a great way to free the mind. If it is appointments, get a diary or use a calendar on your phone but remember to check daily so you don’t miss an appointment. If you’re worried about money then write these concerns down. See if you can get to a point where you feel comfortable, if it is too overwhelming go and talk to someone who can help. Ideally go to the Citizens Advice Bureau they will be able to give you practical advice, unlike a bank who might try to sell you another product you just don’t want and can’t afford. Therefore, sometimes there is clutter in our lives that can cause unnecessary stress and anxiety. It is better to deal with the clutter rather than let it overwhelm you to a point where you can’t face the situation. Too true we can have mental, physical and environmental clutter and usually don’t even pay a lot of attention to the mental clutter at all! I have been looking at some storage options for some household clutter, now I need to think about my mental clutter and clean it up! Thanks for sharing with us at Snickerdoodle! It is surprising how much mental clutter can hold you back! Yup, I have lots of mental clutter. Need to kick it to the curb!.